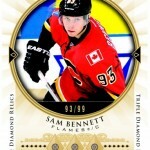 Last year’s edition of Upper Deck SP Game Used Hockey went over big with collectors thanks to a hits only format that provided some great autographs as well as some striking relic cards. 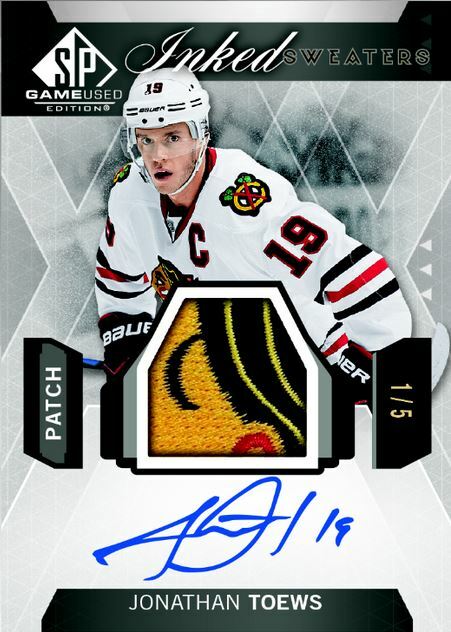 Upper Deck brings that configuration back for 2015-16 SP Game Used Hockey with five autograph or memorabilia cards per box (except when one is replaced by a numbered base card). 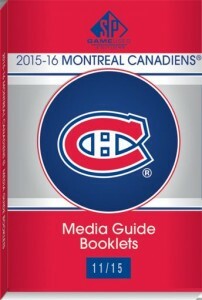 One of the new and unique hits for this year are Media Guide relic booklets. 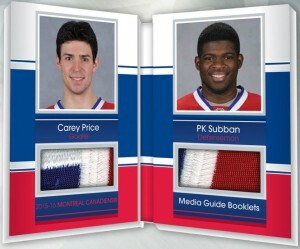 These will feature dual memorabilia pieces with a jersey, patch or tag relic from two teammates. Booklets will be numbered to as low as three. 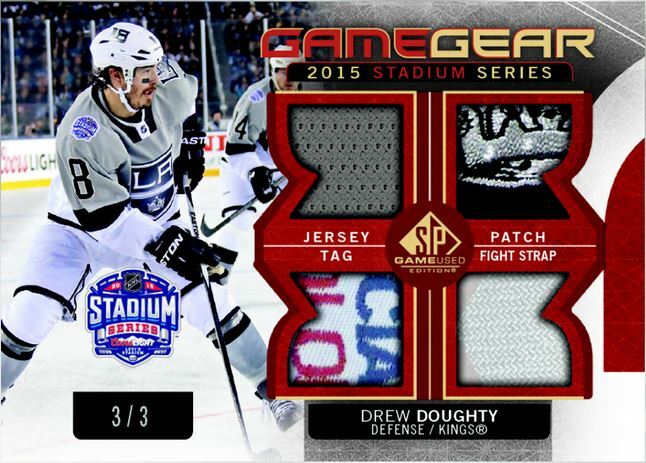 Another new multi-relic set in 15-16 SP Game Used is event-specific Game Gear jersey and patch sets. These feature four game-used relics worn by a player during some of the biggest events of the NHL season, including the 2015 Stadium Series and All-Star Skills competition. There are also NHL Legend editions of the Game Gear quad relics. 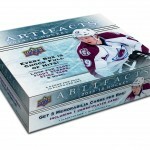 Net Cord relic cards return after being very popular in last year’s release. 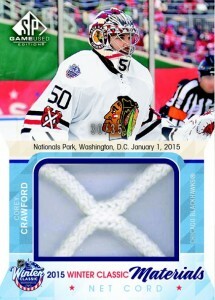 Upper Deck has acquired game-used nets from the 2015 Stanley Cup Finals, Stadium Series and Winter and Heritage Classics. There are also some hold over net relics from the outdoor games played in 2014. 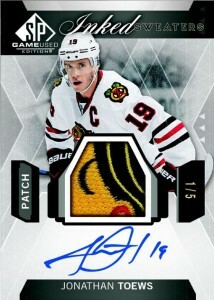 Special case hits will feature the NHL logo shield from game used nets. SP Game Used has plenty of additional event specific relics from the 2014-15 NHL season. Look for jersey and patch cards from sweaters worn during the 2015 All-Star Skills competition with as many as six relic pieces per card. Jersey and patch cards from the 2015 Stadium Series are also available. Game-used puck cards return with pucks from the 2015 Stadium Series, Winter Classic and Stanley Cup Finals. 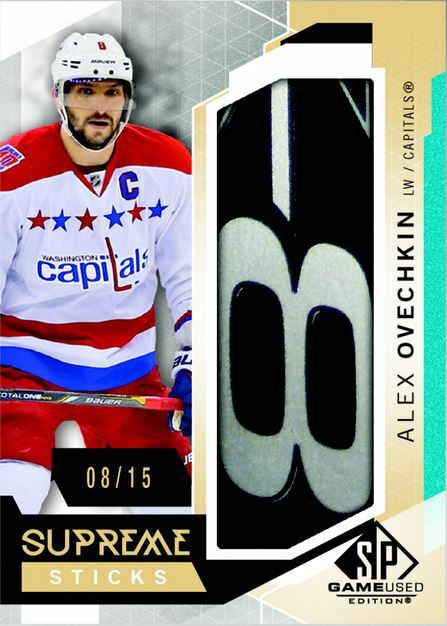 Supreme patch, stick, glove and skate relic cards, Inked Sweaters jersey autos and Draft Day Marks with manufactured draft board letter relics will return this year as well. 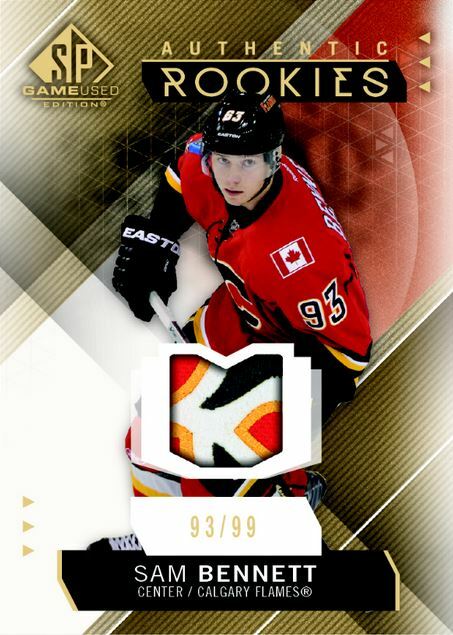 Base cards (100 total) and Authentic Rookies cards will once again be numbered to the player’s jersey number with the final card in the run for each player (ex. # 87/87 for Sidney Crosby) being a special one-of-one autographed variation. 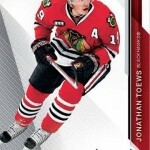 Look for additional signed parallel versions as well as jersey and patch parallels. 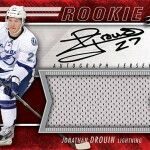 Rookie jersey cards are numbered out of 399, with base and rookie patch parallels numbered to just 99.